If we were to design a shoe collaboration, it would take us months (if not years) to pin down our favorite design. We love a good pump as much as a chic sneaker, the perfect oxford as much as a heeled bootie. But leave it to Pamela Love and Nine West to cook up a shoe that was decidedly Pam — cool and laid-back but fashion-forward, worn-in but fresh — in one fell swoop. 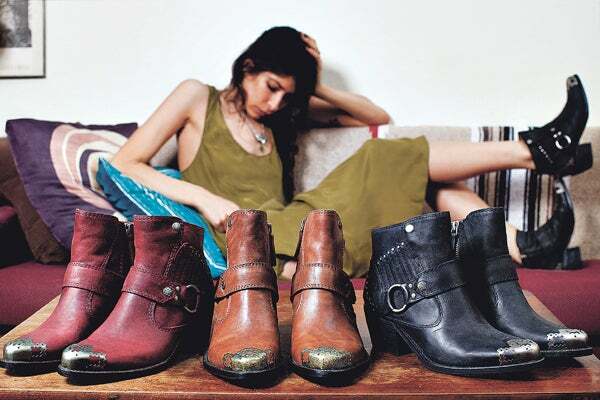 The new desert-moto, urban-cowgirl-esque bootie comes in three shades: brown, black, and brick and have tarnished metal tips for that extra oomph. We're just still deciding which color we're gonna order that oomph in. Would all three be too much? Pamela Love for Nine West Limited edition bootie, $299, available for pre-order at Nine West.